Everyone processes emotions differently. That’s what makes us all unique. But have you ever wondered which emotions dominate your decisions and personal life? There are many different types of personalities in the world, but what type of emotionalpersonality do you have? 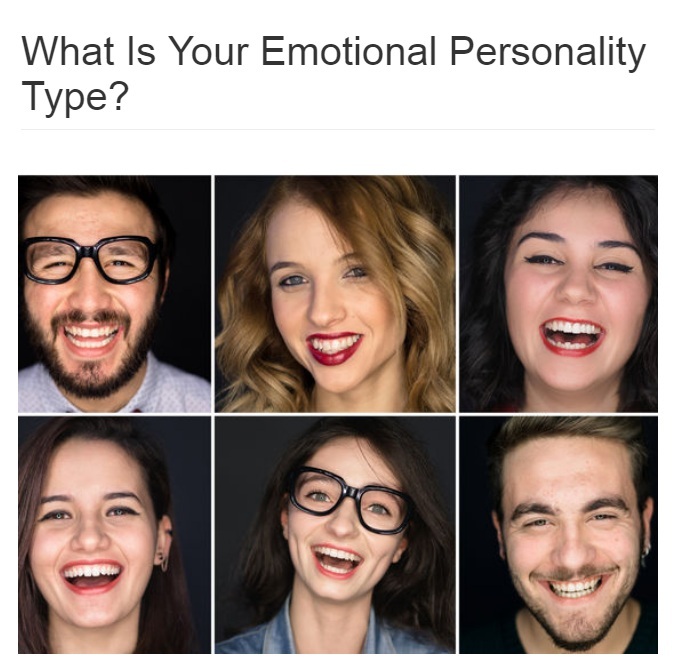 This quiz asks some questions on body language and reactions to certain situations and gives you an idea of what type of emotional personality you have. I got intuitive and charismatic. What did you get?